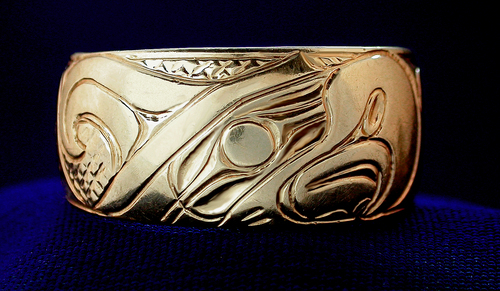 'Namgis Northwest Coast Native American Indian artist offers custom innovative jewelery work including wedding bands. 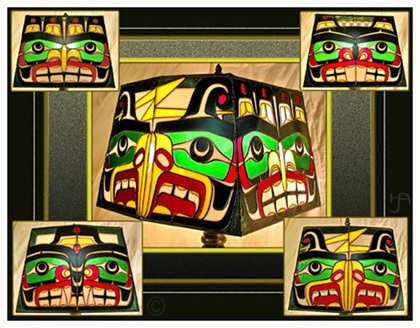 Custom made Northwest Coast Native American Stained Glass artwork. Includes lamps, suncatchers and panels. Custom made to suit the decor of your home. Unique and original. 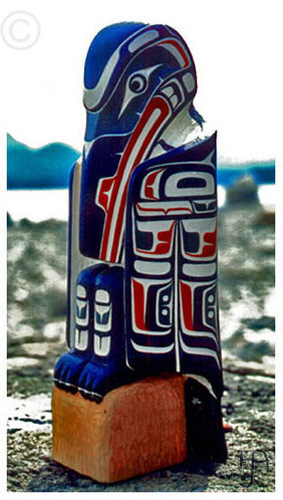 Alert Bay has a long history of producing artistically strong and innovative Totem pole carvers and Harold Alfred continues this tradition of creating authentic Kakwaka'wakw poles. 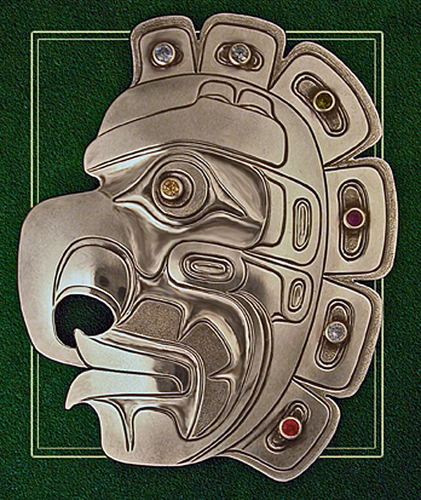 Custom Jewelery for all occasion. Wedding bands, graduations, presentations, recognition, or retirement.